Letter to the Edinburgh International Festival – BP or not BP? We are absolutely delighted to hear that BP will no longer be sponsoring the Edinburgh International Festival, and we want to extend our sincere congratulations to the Festival for joining the transition to a fossil free culture. We are glad that the views of protesters, artists and your own staff members (including the campaign started by the EIF 2015 stewards) have been taken seriously, and believe the launch of the exciting and full EIF 2016 programme proves that large arts organisations can survive – and indeed thrive – without oil money. Three-hundred and sixty-two arts organisations, artists and culture sector professionals have already made the commitment, including London’s Royal Court and Arcola theatres, and Highlight Arts in Edinburgh. The idea is very simple: to publicly commit not to take sponsorship from fossil fuel companies directly, and to raise the issue with one’s organisational partners who do. The participants can use the Fossil Funds Free logo to mark themselves out as forward-thinking and responsible arts organisations. 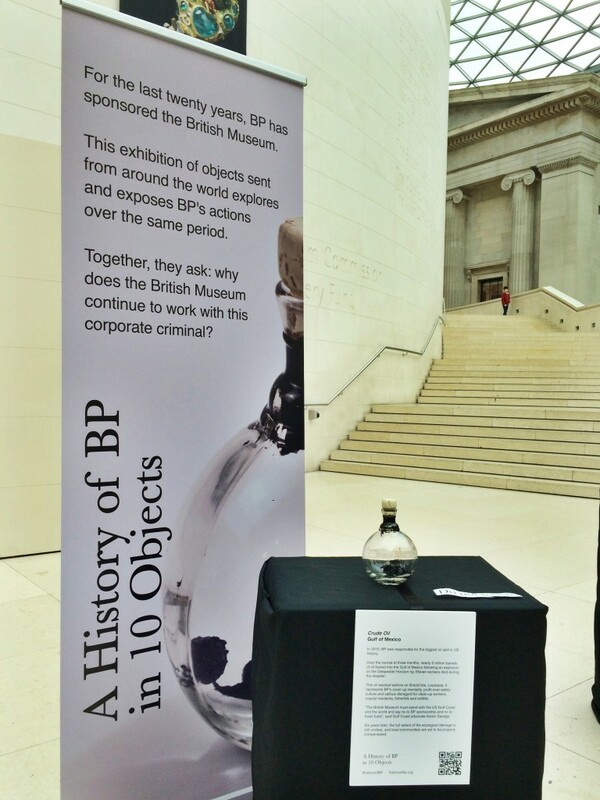 The EIF is now setting an excellent example for those cultural institutions that are still sponsored by BP and other oil companies. We hope that other Scottish institutions will soon follow suit: that the Scottish National Portrait Gallery will refuse to host the BP Portrait Award until an alternative sponsor is found, that the Science Festival replaces its multiple oil industry sponsors with more sustainable and ethical sources of funding, and that Gray’s School of Art Degree Show also drops BP. We urge the EIF to help position Scotland at the forefront of the Art Not Oil movement by signing up to the Fossil Funds Free commitment. Jess Worth, BP or not BP? We have attached a copy of this letter as a PDF.